Now you are in product listing page where you see all your product listed. Now choose a product (you will set related products of this product) and click on “Edit” link at right side. Now you are in single product page. Here you see multiple tab like “General”, “Data”, “Links” etc. Click on “Links” tab, just scroll down below. Here you find “Related Products” with a text box. Just type your related product name (one or two character). 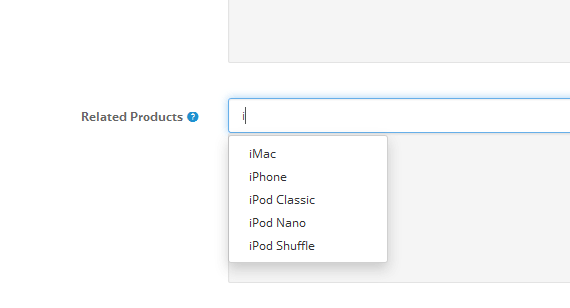 You will definitely see a list of suggested products starting with the character you put. Just select you product. Repeat this steps multiple time to add multiple related products. Below image will help you. After setting your related product just click on “Save” from top right corner. 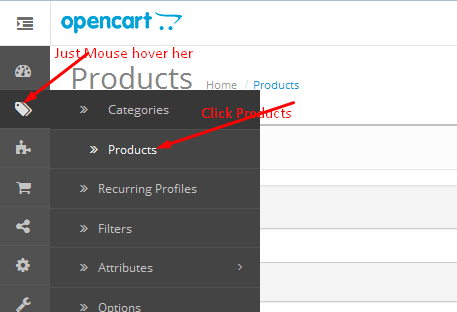 Now you successfully add related product in OpenCart. Now view your product detail page from front end and here you find your related product.